Betty McCann was born in Brooklyn. She worked in flight operations for many years. She retired to Florida where her three sisters lived. She was predeceased by her sisters Ann, Margaret Lavelle, and Theresa Timmons; and by her brother, Thomas. 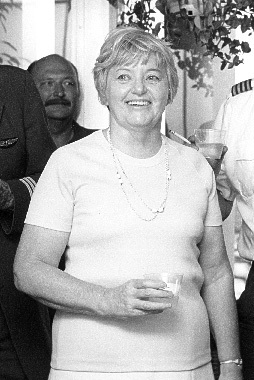 Betty is seen here in 1978 at the retirement party for Capt. Wendell Hale.